Last month, BOA members had the opportunity to visit the workshop of Kenneth Tickell & Co Ltd in Northampton, so now seemed an appropriate opportunity to feature one of Ken's most recent achievements - in the chapel of Keble College, Oxford. This all-new instrument replaces an organ originally installed on the floor of the chapel (beneath the present organ loft) in 1876 by William Hill. 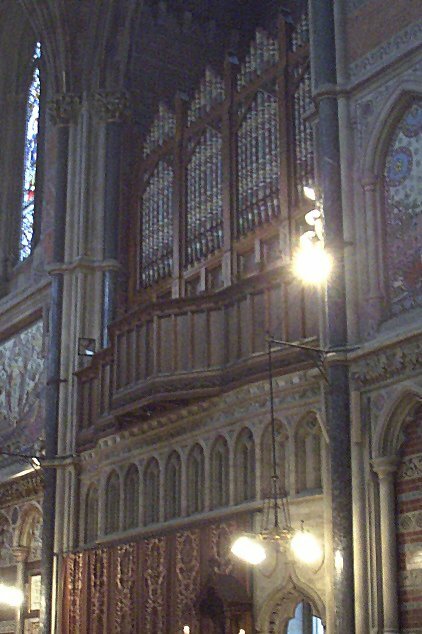 It was subsequently moved to the position occupied by the current organ in 1892 by Henry Willis & Sons, and was rebuilt again in 1925 by Rushworth & Dreaper. 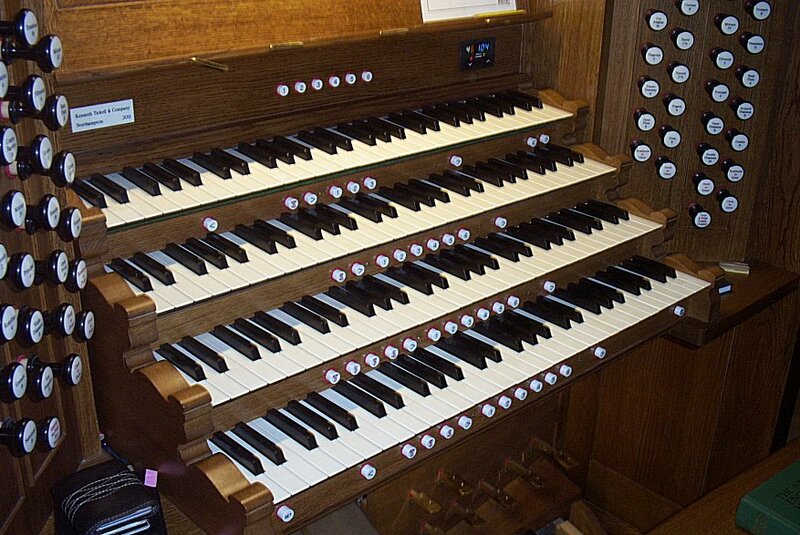 Further work was undertaken in 1961 and 1976, but by 1992 the organ had become unplayable. Disagreements about its replacement meant that, for a lengthy period, the chapel used an electronic organ by Copeman Hart & Co. The Tickell instrument uses tracker key action with electric stop and combination actions. The case of the Hill instrument, designed by the college's eminent Victorian architect William Butterfield (who is said to have personally executed the stencilled decoration on the front pipes), has been retained. 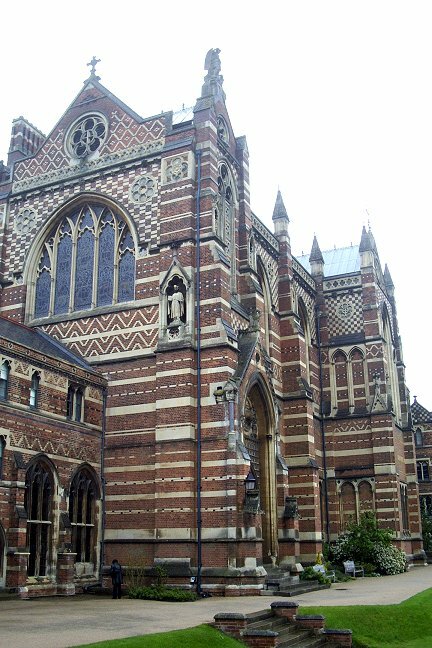 Keble College counts amongst its former organ scholars John Pryer and Andrew Fletcher, and the present scholar is BOA student member Richard Dawson. Your webmaster recently had the privilege of attending a Choral Evensong in the College and was later able to spend some time putting the new organ through its paces: both were most enjoyable experiences. We are hoping to arrange an opportunity next year for BOA members to visit and play this outstanding instrument and enjoy the chapel's wonderful acoustic.